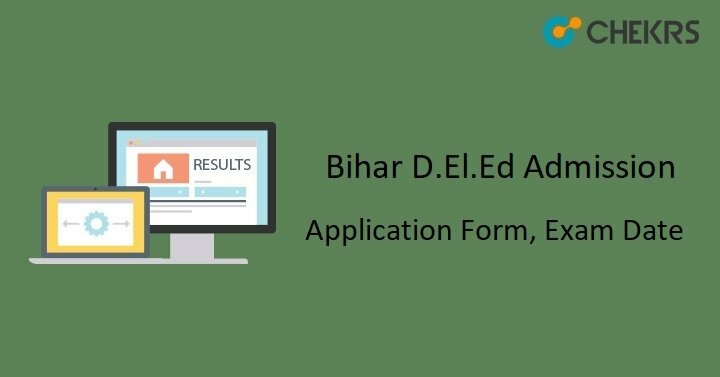 Bihar D.El.Ed Admission 2019-20: Diploma in Elementary School, examination of Bihar State are managed by Bihar School Examination Board. Bihar D.EI.Ed examination are organized all over the Bihar State. Latest Update: Bihar D.El.Ed Admit Card is expected to be released soon!! Keep Visiting for More Info. Candidates who are eligible for this examination they can register for D.El. Ed 2019 Admission Bihar from the official site, in the due course of time. All other essential details regarding the admission criteria, such as eligibility conditions, selection process, age criteria, and Bihar D.El.Ed Exam Date 2019, are given in the article below. Candidates who are keen on to pursue an elementary diploma course from Bihar State. They make sure to fulfil all the formalities regarding the Bihar D.El.Ed Online Apply 2019 in the due course of time. Candidates who want to apply for two (2) year diploma course, they are advised to just go through the eligibility criteria carefully before directly filing up the Bihar D.El.Ed Form 2019 as well as must strictly adhere to the important dates. Bihar School examination conducts all the events as per the schedule, thus in order to punctual as well to avoid any unfortunate instance, it is very important to have a note of important dates. So that you could avoid filling up the application form before Bihar D.El.Ed Online Apply Last Date, as filling up the application form on the last date of deadline create a mess. Candidate must have passed 12th class from a “recognized board”. Candidates must possess a minimum of 50% marks (whereas reserved category candidates just required 45% marks). Candidate must have been 17 years old, Moreover, there is no as such relaxation criteria available. In order to conduct the examination, the board usually, deposits Rs 250 as application fee. However, for more information over the “application fee”, you may refer to the official notification. Candidates who are eligible for Bihar D.EI.ED, a two-year Diploma course they can apply for the same, only from the official site. Further to in order to help you in this regard so that you can apply for the D.El.Ed on your own, here we are sharing these instructions. At the very beginning, Visit the official site of Bihar School Examination Board. Now, fill up the application form, and mandate all the requirements. After filling up the application form, cross check it once. Keep the filled application form safe for future usage. Candidate’s final shortlisting for the admission will be done on the basis of merit list which will be released by Bihar School Examination Board. However, the merit list is drawn on the basis of candidate’s 10th and 12th class academic performance. Bihar School Examination Board, releases the selected candidates merit list on its official site. In order to inform the candidates regarding their admission, an online list is uploaded. Candidates are informed about their call for admission officially. After the release of merit list, Bihar School Examination Board release’s the counselling schedule on the website. Those candidates whose names get shortlisted for the admission only they are called for counselling rounds.